While choosing a perfect blogging platform people always questions about one thing, does it is better for SEO? The half of the world prefers Blogger while the rest recommends WordPress but ultimately both has their own pros and cons. 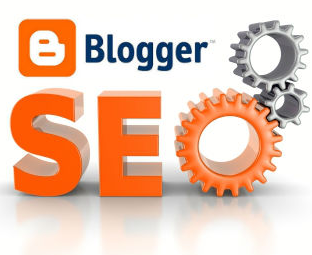 People always think Blogger is not a suitable platform to create a professional website, mainly because it does not provide flexible options to optimize your site for SEO. What most people don’t know is that Blogger is probably the simplest and most powerful platform and it also has decent SEO score. In this article, I will provide an in-depth detail Why Blogger is better than WordPress or any other free platforms in Terms of SEO? In the end, we will also reveal what Matt Cutts thinks about Blogger SEO. What Option Does Blogger Offers for SEO? By default, blogger provides constructive permalinks. 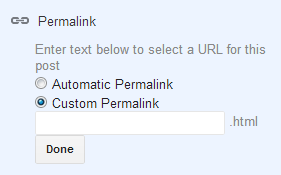 In spite of all this, blogger also offers a robust option to choose custom URL (permalink) for your posts. You can choose select few keywords and can use them in your URLs so that it can generate decent organic traffic from search engines. However, keep in mind stuffing your permalinks with many keywords would decrease the weightage of your keywords altogether. The more keywords you will add in the permalinks, the less will be the keyword weight and hence, its relevancy would be lower in the search results. 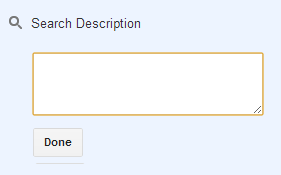 When you are searching anything on Google, you always see a piece of text line just beneath the search results. Those lines are there to help you to determine whether that’s the site which you were looking for. If you would not specify a Meta description, search engines will automatically establish a description for you based on your site’s content. Fortunately, there is a handy tool in blogger located at Settings >> Search engine Preference which enables you to specify separate Meta descriptions for your site’s content. What would you do, if you want to move your content from one URL to another? You would prefer to use a 301 Permanent redirect so that all the PageRank juice transfers from one page to another. Without pointing a redirect, there is no way you can recover the loss. Blogger also has custom redirect functionality which helps you in redirecting URLs to any page. This tool can be accessed through Settings >> Search engine Preference >> Custom Redirects. Blogger often creates a custom 404 not found page to provide some sorts of comic relief to their readers, and protects them from seeing unfriendly or unentertaining error messages. If you have a broken link on your blog, or a reader navigated to a link which was temporary down then the custom 404 not found page would assist them in finding the content which they were looking for. You can customize your error page from Settings >> Search Preference >> Custom Page Not Found. How to Rank Well in Search Engine? The most significant thing you need to rank well in Search engine is Backlink. No, I am not talking about tons and heaps of backlinks because a few bunch of quality backlinks could take your site from ground to the heavens. It doesn’t matters whether you are using WordPress, Blogger or any other platform, without having a decent amount of backlinks your site cannot rank well. Writing fresh and unique articles is another way to divert the attention of your visitors. Now you might be thinking how a piece of content would help you in ranking? Why People always prefer to write fresh and high quality content? Search engines don’t know the difference between a high quality content and low quality content. They always analyze the number of quality backlinks that the content is getting from other sources and hence labels it as Quality content. For Example, you write an article which was so exclusive that a person decided to write on the same topic with a credit link back to your website. What Matt Cutts Thinks About Blogger SEO? About few weeks ago Google’s employee and the head of web spam team Matt Cutts posted a video on YouTube answering some SEO questions about blogger. I’ve used Blogger for 3 years, but now everyone tells me that WordPress is superior for SEO. After scouring many sites, I’ve been unable to find the SEO advantages to using Blogger – are there any? Here’s the Answer: Blogger is quite straightforward to get started, and it is in the cloud. You don’t need to download or install any software yourself. On the other hand, if you install software yourself like WordPress, then you are usually not patching it, so it is easier to get hacked. If you are just doing spontaneous blogging and just starting out then Blogger is fantastic. It is just a matter of fact that how well you write and present your articles. Platform does not matters a lot because we commonly see many HTML based sites ranking way quite well in the search engine. Those sites are ranking well just because of quality backlinks and content not because they are using WordPress or any other platform. Stop regarding Blogger for unfriendly SEO options because they are way better than any other platform even WordPress. If you like this article, then feels free to share it with your friends on Facebook and twitter. nice post FAIZAN, recently i read ablog saying wordpress is more SEO friendly, now after your post, i am confused, but whatevere it is i am happy with blogger because of simplicity it has. It is a long-standing debate that which blogging platform is better but one thing is quite clear that for newbies like me the blogger platform is the best one; it is rightly called the nursery for bloggers. Secondly it lays a strong foundation of your blogging skills it means the foundation of entire blogosphere is based on it becasue most of the pro bloggers intiailly tried this platform and than move to wordpress just to get the benefit of unlimited widgets of wordpress. Faizan i am not using meta description inside blog editor because will automatically pick up best keywords inside from post contents....Am i doing the right.. I think you also same as me..
Point 1) > Custom Permalink Structure: WordPress offers better structure. In blogger, you lose your URL ranking because of silly date and year in between. Point 2) > WordPress SEO by Yoast or All In One SEO can also do the task with keywords in minutes! Point 3) > Do you know that if you change post URL after publishing in wordpress then it automatically redirects 301 redirection to new one? Point 4) > WordPress has a template 404.php which you can code in your way! No, you should add Meta description separately in posts before publishing them to your site. Bot doesn't picks up best keywords they just pick things manually. I would prefer you to add Descriptions manually in your all posts. 1. Blogger Permalinks are more robust than WordPress because those dates are always preferred. Check out BBC Blog and they also has those dates in their permalinks. Dates actually help users to search through the content and let them know when article was published. 2. If you need plugins to increase your SEO Score than, I am afraid you don't know how to write quality content. 3, Everything has his pros and cons. You can always redirect your URLs to any page in Blogger. 4. You need to edit 404.php. In Blogger, we only need to copy and paste and the 404 page is ready. For me Blogger is the best. People get their WP hacked every second, every min, every hour, every day, every month and every Year. . Blogger is on cloud, I bet no one can hack it. Yes, We add them manually so that bots don't select the description on their own. We usually paste the First PARA of our Article in the description box. Do we get high rank in Gooogle Search Engine, just by posting Quality Posts? Or do we need to do SEO? You need quality content and so do you need Backlinks. Keep on producing quality content and people will automatically link back to you which would increase your SEO score. Some people prefer to build backlink themselves by fair means. They do guest posts on top quality blogs and forums. Some people, comments on different blogs to get backlinks. There is a huge list of things you can do to create backlinks. However, on-page SEO has some sort of significance and that should be done by every webmaster. Wordpress is much better than blogger i am using both at the same time. There is a lot of seo plugin on WP. I am not much aware about seo so wordpress help me. You are certainly right, "Platform does not matters a lot" what matters most is the content that is in it. It is just that some people do think that WordPress is a much better platform because of how professional it looks, but will it be the same if the content in it is just worthless? As of I know we can use same permalink in WordPress like what Blogger did, so both can be same, however I don’t know which type of permalink is better to use. I too use All-In-One SEO plugin on my WordPress blog but only to write description of the articles, which will show on search engines. Because WP has no such feature in default, so may be Mehul also said this. Also, WordPress blog can be hacked this is many peoples know but only few of them take time to secure their blog with various tools and tricks available. Which is now making WP blogs nearly impossible to get hacked, also we can use Google 2-Step verification feature on WordPress blogs which increase its security much more. I own think Blogger is much better because of its security, but after seeing that some of my friends and even my brother’s blog getting deleted I get really confused, so I chose WordPress. And one of the best thing I love of Blogger is we don’t need any hosting to host it, because it’s in cloud (as you said) while if we get a lot traffic in our WP self-hosted than our blog will get down and have to increase our hosting package, while there is no problem like this in Blogger. The self-hosted WordPress is probably 100 times better than Blogger. Self-hosted WP gives you more freedom and way better options. Google might be on top of everything else, but when it comes to blogging, they are a smaller fish in the sea. If you are saying Blogger is better, than you clearly need some mentoring in 2013. Blogger is not that bad, as you are rating it. You see, the blog which you are currently on is hosted at Blogger and still it is way better than many of WordPress blogs. Blogger has better security, Zero Down time, Great SEO Options, It is in the Cloud. So I think these stuff are enough to rated Blogger as the revolutionizing Blogging platform. Sorry bro Wordpress Has Better SEO Than any Other Platform. wow ! what a superb blog ! keep it up ! I'm a bit confused here. Does blogger have a description box for each article/post. I've been using blogger for almost two years now and I only noticed the description on the settings tab which is for the "whole" website. Please tell me how you add descripions to each posts if possible. Thanks. http://www.gupshupcorner.com/ i am using wordpress in it. and then http://www.chatroom.com.pk/ I am using blogger on this website. GupshupCorner is Ranked very well in search engines but it takes allot of Effort. Both have their own pros and corns but the fact is Wordpress is a More Professional Blogging platform then Blogger and even in google results you will see that most of the professionals use wordpress. Blogger is free and can't be hacked. Yes, blogger has a description box intended for each article or page. There is also a site wide description. But even if you put a site wide description you should always put anothers description for a single post. Your home page always change and your post doesn't so you have to give a description to both. Really it's not only large post but also it has so much inform which can bring a success for any writer. It is really useful. While I search in Google about seo friendly content then I discover your awesome post. After that when I practically touch your post then I stunned really what a post ! It's possible by a blogger ! But really learned we need spend so much time for writing a good article. Thanks a lot for sharing a great and advantage post for us.